Mine Direct Peachy Pink & Orange Afghan Morganite Faceting Rough!!! Lovely Orangey Afghan Morganite Crystal Faceting Rough with a Peachy Pink overtone. This really is a SPECTACULAR Crystal with NATURAL color! 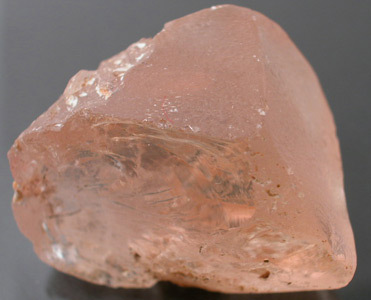 This is more of an Orangey Morganite as this is how the better material usually looks fresh out of the ground prior to heat treatment which turns it into a Pinker color. This is the largest cleanest piece we have had come by us in this nice a color in quite some time and we would say it is roughly 35%+ High Grade Facet Rough!! 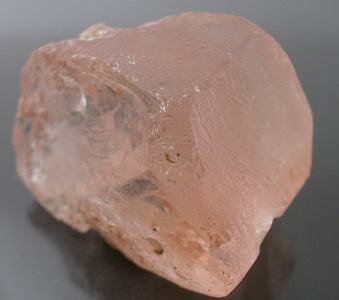 There is some silk veiling and a fine sheen mostly concentrated towards 2 opposing ends and takes up about 60% of the rough; however, large sections of this crystal are practically eye-clean and it would be easy to cut a large stone along with several other smaller stones that are eye-clean to very slightly included with a little work! This is almost perfectly terminated with about 80% of the rough being either naturally etched or terminated. It looks like someone at the mine cobbed away at the crystal to take a look at how clean the stone was inside (That is sad!). This piece is representative of the best of the best and it is characteristic of the material YOU rarely see in the market for this local as it is all bought up at the mines for top dollar. 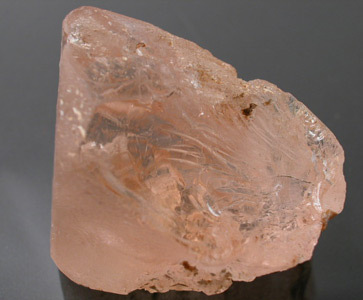 In Afghanistan Morganite is almost always classified by crystal structure and not so much by color. 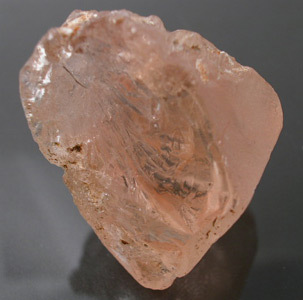 This is why you will occasionally see some light Aqua colored stones in Afghan Morganite lots. 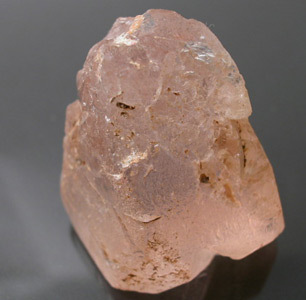 There is only a limited amount of Afghan Morganite produced every year and annual production has been steadily decreasing.